For several years now, the province of Québec has seen a record number of animals die in barn fires. While such tragedies are sadly nothing new, the phenomenon has reached frightening proportions with at least 20 barn fires in just the past six months, resulting in the horrific deaths of over 76,000 animals. 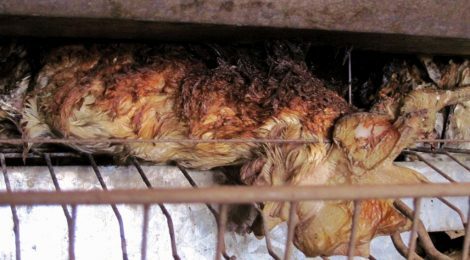 In the province of Québec, the protection of these vulnerable animals falls to the Ministry of Agriculture, Fisheries and Food (MAPAQ). MAPAQ recently committed itself to developing and passing An Act to Improve the Legal Situation of Animals and to ensure that animals are “kept in a suitable place that is sanitary and clean with sufficient space and lighting and the layout or use of whose facilities are not likely to affect the animal’s welfare or safety”. This is why we are calling upon the Minister, Mr. Pierre Paradis, and his Assistant Deputy Minister, Christine Barthe, to fulfill their Ministry’s promise by protecting Québec’s farmed animals from barn fires. In addition to ending the horrific deaths in Quebec, because of the province’s unique commitment, Québec presents the best chance of setting a precedent in ensuring farmed animals are protected from barn fires for the rest of Canada to follow. Our petition can be found here. The animals are counting on you. Please sign and share it widely.